Have You Been Charged With Grand Theft In New York? Nassau County Takes Grand Theft Charges Seriously! FIGHT YOUR GRAND THEFT CHARGE WITH AN EXPERIENCED NASSAU COUNTY CRIMINAL DEFENSE LAWYER! DO NOT PLEAD GUILTY TO GRAND THEFT CHARGES IN NEW YORK! Grand theft, known as “Grand Larceny,” in New York is a serious crime. Because of the consequences, which we will explain in detail below, it is essential that you do not plead guilty to grand larceny charges without talking to an experienced criminal defense lawyer.  If you or a loved one has been charged with grand larceny in New York State, you are not alone. The Law Offices of Michael H. Ricca, P.C. is there to help you fight these criminal charges. Contact us today for you free consultation with Nassau County’s best criminal defense lawyer. You do not want to be charged with grand larceny in New York. In fact, if you are convicted of a grand larceny charge, you will be found guilty of a felony crime. New York State Penal Law, Article 155 categorizes grand larceny charges into various degrees, which affects the felony classification. To help you better understand what each charge includes, let’s take a closer look at each grand larceny law. The property is used in connection with religious worship and is valued at less than $100. 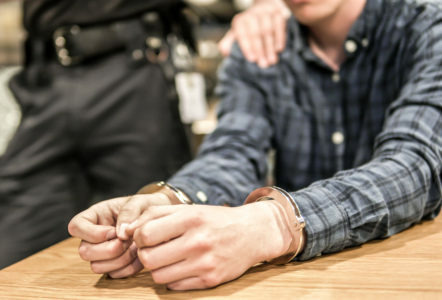 You should note that, while this offense is less serious than other types of grand larceny charges, it is often filed with other more serious offenses. Why? Because Grand Larceny in the Fourth Degree is broader than other more serious offenses. Prosecutors will often include this charge as a catch all if the more serious charges do not stick. For example, if you are charged with Robbery in the Third Degree, you may also be charged with this offense.  Robbery in the Third Degree, which is a Class D felony according to NYS Penal Law 160.05, requires the use of force, which is not always easy to prove. Grand Larceny, on the other hand, does not require force and is considered easier to prove than a robbery offense. Under the law, Grand Larceny in the Fourth Degree is a Class E felony. The property consists of an automated teller machine (ATM), or the contents of one. According to New York Penal Law 155.35, Grand Larceny in the Third Degree is a Class D felony. Grand Larceny in the Second Degree is even more serious than the Third Degree and Fourth Degree offenses. It also introduces an element of fear to the overall theft. To be convicted of a Grand Larceny in the Second Degree offense, you must be found guilty of one or more of the below factors. Regardless of its nature, the property was obtained through means of extortion instilled by fear. In the case of extortion through fear, which should be reasonable, the victim may be lead to believe that the accused (or another individual on their behalf) will physically injure someone in the future, damage the property, or abuse a position of power as a public servant to negatively affect the victim. Per New York Penal Law 155.40, Grand Larceny in the Second Degree is a Class C felony. There is only one thing a prosecutor will have to prove in order to convict you of Grand Larceny in the First Degree. That is that the stolen property must be valued at more than $1 million. Grand Larceny in the First Degree is a Class B felony in New York State. If you have been previously convicted of Grand Larceny in the Third Degree within the past 5 years and are caught with stealing an ATM or in possession of stolen ATM contents, you will find yourself charged with the more serious Aggravated Grand Larceny of an Automated Teller Machine. In New York State, Aggravated Grand Larceny of an Automated Teller Machine is a Class C felony. In New York State, non-traffic offenses fall into one of three categories. These are violations, misdemeanors, or felonies. The differences between the three categories are based on the potential time you may serve in jail if convicted of a crime. None of the theft crimes in New York State are considered violations, which can result in up to 15 days in jail. While we did not cover Petit Larceny, it is important to note that this is a Class A misdemeanor. This means you could spend between 16 days and 1 year in jail if convicted of Petit Larceny in New York. Felonies, on the other hand, are much more serious. By definition, felonies are crimes that can result in more than 1 year behind bars. However, New York divides felonies into different classifications. Whether the offense is considered a violent or non-violent crime will also play a role in the potential consequences of a felony conviction. To find out what potential consequences you may be facing with a grand larceny charge, please refer to the table below. Furthermore, you may be placed on probation or parole based on the specifics of your case. While grand larceny is not considered a violent crime, the sentencing guidelines will continue to become more intense if you are repeatedly convicted of this crime. This means that mistakes foolishly made in your youth can impact your life when you become an adult. In addition to the potential jail time, other penalties may also be assessed. For example, felony convictions for grand larceny may include fines in addition to your incarceration. The amount you are fined will be the greater of two values: $5,000 or twice the amount you profited from the commission of the crime. This means that if you sold the stolen property and made $6,500 from the sale, the resulting fine may be $13,000 upon your conviction in addition to the time you spend in jail. However, if the stolen item was sold for only $600, you would actually owe the $5,000 since it is greater than double the profit you made selling the property. Surcharges, fees, and victim restitution may also be tacked on These financial obligations are in addition to your fines and jail sentence. Employment Opportunities: Many jobs require background checks in today’s world. With a felony conviction on your record, any employer looking into your past will have second thoughts about hiring you. Some jobs, such as government or public work, as well as unions, will outright reject your application. Certain operator and professional licenses will likely be revoked if you previously held them, meaning your current employment may be terminated as well. Loans: Need a loan for a car, home, emergency, or other purchase? Lenders are not likely to loan you money when they find a grand larceny conviction in your past. The fines related to a felony conviction can be financially devastating and being unable to get a loan can further the complications caused by this. Housing: Certain housing units or sellers may reject your application leaving you homeless. Federal subsidized housing, for example, will no longer be available to you. Colleges: If you are applying to colleges, you should note that many universities do take your character into consideration. A felony conviction can cause colleges to reject your application off-hand, regardless of the merits that demonstrate you belong. Loss of Rights: There are certain rights you may take for granted. However, becoming a convicted felon may change that. For example, you can no longer serve as a juror. While that may not be that important to you, you also lose the right to own firearms, vote, or obtain welfare benefits. Impacts to Personal Relationships: Beyond the above is the damage a felony conviction can cause to your personal relationships. At their core, grand larceny convictions mean you have been found guilty of stealing. This can be a crime that traumatizes the trust of those around you. Friends and family members alike may struggle to view you as the person they once knew, not to mention the financial impacts they too may suffer while you are incarcerated. Grand larceny charges come with serious consequences if you plead guilty or are convicted of any one of the above offenses. Do not take the chance and fight these charges on your own or trust your counsel to an overburdened public defender. Investing in a reputable, experienced criminal defense lawyer, like Michael H. Ricca, can give you the best chance of a favorable outcome. The consequences of a conviction or guilty plea are well known to The Law Offices of Michael H. Ricca, P.C. Because of this, The Law Offices of Michael H. Ricca, P.C. strives to provide each of our clients with the representation they deserve. This includes dedicating the time required for a truly effective defense approach. But our attention goes beyond just representation. Michael H. Ricca takes every case personally and fights for the rights of each client as if he was the defendant himself. A passionate criminal defense lawyer who is well-versed in plea bargaining and courtroom dynamics, Michael H. Ricca will work with you to assess the reality of the case, as well as the potential outcomes. If you would like to talk to a distinguished Nassau County criminal defense lawyer, please contact The Law Offices of Michael H. Ricca, P.C. today for your free consultation.